Throughout the proud history of Olympic, the first Greek airline carrier, one will come across many great legends. From 1957, when Olympic Airlines was founded by Aristotle Onassis, until the present day, the historic six-ring logo has traveled the Greek flag in five continents and served as a point of reference and pride for generations. On October 1st 2009, Olympic entered a new,promising era, spreading its wings and embarking on new voyages. Renamed as Olympic Air and under the management of Marfin Investment Group (MIG), the largest business group in Southeastern Europe, Olympic Air is now ready to fly proudly in the world’s skies. The new airline is more modern than ever. New vision. New vigor. New Concept. A renewed passion to offer travelers the very best. New momentum. A combination of traditional Greek hospitality with cutting-edge technologies and services. The youngest fleet of aircraft in SE Europe. And one goal: to fly high. Today, the fleet of Olympic Air consists of 29 aircraft: 14 Airbus (A319 & A320), 8 Bombardier-De Havilland DHC8-Q400, 5 Bombardier -De Havilland DHC8-100 and 2 ATR-42. The fleet will assume its final form in Spring 2010, consisting in total of 32 aircraft: 16 Airbus (7 x A319 & 9 A320), 10 DHC8-Q400, 5 DHC8 8-100 and 1 ATR-42. This fleet of various types of aircraft gives Olympic Air operational and commercial flexibility, allowing use of the most suitable type of aircraft per itinerary and season. The utilization of at least 2 standby aircraft guarantees high credibility for departure times and consistent operation of useable aircraft (aircraft & dispatch reliability). Of the sixteen (16) Airbus, seven (7) are A319s and nine (9) are Α320s, with a capacity of 138 and 162 seats, respectively. Ten of the aircraft are brand new and four are two years old, while a further two are six years old. 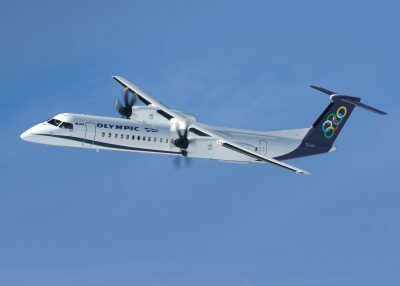 During this period, the currently ongoing negotiations with Airbus and Boeing concerning the purchase of Olympic Air’s privately owned jet aircraft will be completed. The Bombardier Dash 8-Q400 aircraft are constructed in Canada. They are new generation, silent and swift turboprop aircraft, characterized as the most environmentally friendly turboprops currently on the market. Of the ten (10) Bombardier Dash 8-Q400 aircraft, eight (8) are brand new and two (2) are two years old. The five (5) Bombardier Dash 8-100 aircraft will carry out itineraries to domestic airports that have smaller runways. The ATR-42 aircraft will carry out domestic itineraries, serving in a supporting role for the remaining fleet. In total, investment in the aircraft fleet and spare parts is expected to exceed $1.1 billion. 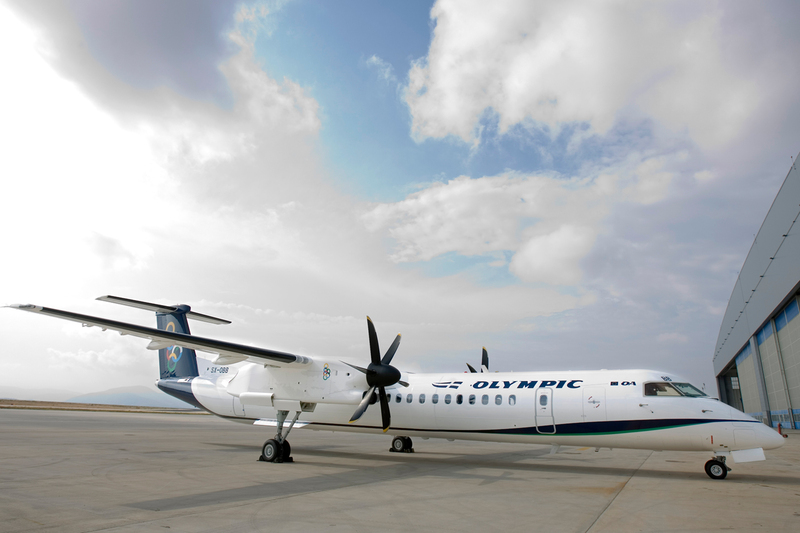 Less than a month after its official start date on October 1st 2009, Olympic Air operates safely and punctually approximately 150 flights per day, within a network of 51 destinations (17 international and 34 domestic). The airline’s main operation base is “Eleftherios Venizelos” Athens International Airport with secondary hubs at Thessaloniki and Rhodes. 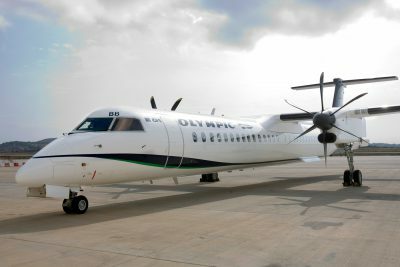 Olympic Air’s network is designed efficiently so that all domestic destinations are linked to corresponding international flights. Most domestic destinations as well as popular international destinations (London, Paris, Vienna, Brussels, Amsterdam, Milan, Rome, Bucharest, Larnaca, Sofia) are covered once a day. Both business and economy fares are available for international routes. Currently, Olympic Air is negotiating a series of strategic partnerships with major international airlines, such as Delta Airlines, Air France/KLM, Etihad Airways and Cyprus Airways. 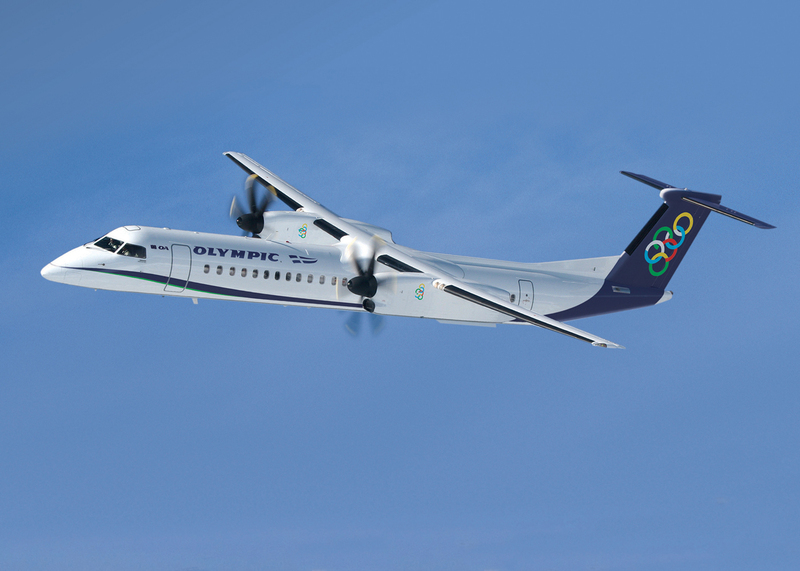 These partnerships aim to provide Olympic Air’s passengers the option to access a vast variety of international destinations through interconnecting flights, while at the same time allowing international passengers to reach any Greek domestic destination. Thus, Greece becomes a significant transportation hub through a mid-haul network connecting Athens (and soon enough, Thessaloniki) to Paris, Amsterdam, New York and Abu Dhabi, and through them, to the rest of the world. Our prime goal is to establish Olympic Air as the top quality and most reliable airline in the greater Southeastern Mediterranean region. Passengers can start earning miles as soon as they have enrolled with the Travelair Club, also earning bonus miles upon registration. Miles are earned when you fly, but it is also very easy to earn miles with a large number of Travelair Club’s partners from a wide range of sectors. The program offers unique benefits and services in and out of the aviation sector! Above all, our most important goal is to satisfy each and every one of you – our valued passengers. 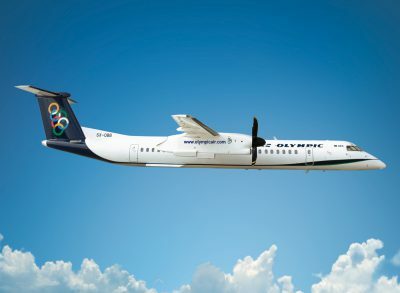 We would like to ensure that we meet and exceed your expectations of Olympic Air. By offering innovative and quality services, direct customer care, and flying one of the youngest fleets in Europe, we strive to reach this goal.With your support, we will do our best and spread the wings of Greece around the world.